1. Eva L. James: born 1903; married to Dan D. Lawrence (1900–1982); died 1981; buried at Sixteen Cemetery, Thornburg, Keokuk County, Iowa. 3. Gladys Pearl James: born September 17, 1907 in Keokuk County, Iowa; married Harold Benson (1901–1986); died March 7, 2008 (aged 100) in Oskaloosa, Mahaska County, Iowa; buried at Sixteen Cemetery in Thornburg, Keokuk County, Iowa; known children include: Carl Benson. 4. Opal L. James: born September 28, 1909 in What Cheer, Keokuk County, Iowa; married January 23, 1929 in Oskaloosa, Mahaska County, Iowa to James Luverne Huffman (1907-1992); died April 15, 2011 (aged 101) in Oskaloosa, Mahaska County, Iowa; buried at Tioga Cemetery in Rose Hill, Mahaska County, Iowa; known children include: Garry Huffman and Phyllis Huffman. 5. Raymond L. James: born 1910; married Helen Rose Doughman (1914–2004); died 2000; buried at Sixteen Cemetery, Section #5, Row 1 in Thornburg, Keokuk County, Iowa; known children include: Marion Lee James, Marvel Louise James and Merlin Keith James. 6. Gerald Carl James: born March 19, 1914 in Keokuk County, Iowa; married Alice Noreen Hedrick (1916–2014) daughter of James Melvin Hedrick and Lula Shacklett; died September 24, 1998 (aged 84) in Lucas County, Iowa; buried at Chariton Cemetery, Section D in Chariton, Lucas County, Iowa. 7. Viola A. James: married Kenneth Scherer. 8. Everett Leroy James: born June 16, 1919 in Thornburg, Keokuk County, Iowa; married August 11, 1940 in Lancaster, Missouri to Leola Mae Newcomb (1916–2005), daughter of John Newcomb and Mary Shirlaw; died June 17, 2012 (aged 93) in Sigourney, Keokuk County, Iowa; buried at Sixteen Cemetery in Thornburg, Keokuk County, Iowa; known children include: Leroy James and Donald James. 9. Agnes E. James: born in 1921 in Keokuk County, Iowa; married Russell W. Dutemple (1915-1969); died in 1966; buried at Sixteen Cemetery in Thornburg, Keokuk County, Iowa. 10. Wilma Pauline James: born June 15, 1929 in What Cheer, Keokuk County, Iowa; married October 22, 1949 in What Cheer, Keokuk County, Iowa to Paul Edward Snakenberg (1926–2004), son of Ira Snakenberg and Barbara Strohman; died August 8, 2017 (aged 88) in Washington, Washington County, Iowa; buried at Pleasant Grove Cemetery in Sigourney, Keokuk County, Iowa; known children include: Janet Snakenberg, Joyce Snakenberg and Shirley Snakenberg. Agnes Dutemple identified in 1940 U.S. Federal Population Census, What Cheer, Washington Township, Keokuk, IA. 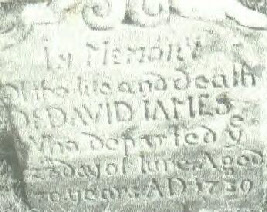 Find A Grave Memorial for Eva L. James Lawrence (1903-1981), Memorial ID No. 92555646, created by Svandee, added June 25, 2012. 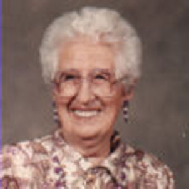 Find A Grave Memorial for Gladys Pearl James Benson (1907-2008), Memorial ID No. 70704168, created by Carla Burdock, added June 1, 2011. Find A Grave Memorial for Opal James Huffman (1909-2011), Memorial ID No. 68432470, created by Donald Bitner, added April 16 2011. Find A Grave Memorial of Raymond L. James (1910-2000), Memorial ID No. 33220137, created by Zelda Capehart, added January 24, 2009. Find A Grave Memorial of Gerald Carl James (1914-1988), Memorial ID No. 91022133, created by Skip, added May 30, 2012. 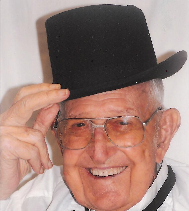 Find A Grave Memorial of Everett Leroy James (1919-2012), Memorial ID No. 92127778, created by Donald Bitner, added June 18, 2012. Find A Grave Memorial for Agnes E. Dutemple (1921-1966), Memorial ID No. 92556040, created by Svandee, added June 25, 2012. 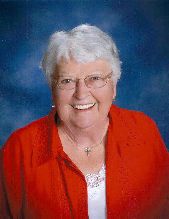 Find A Grave Memorial of Wilma Pauline James Snakenberg (1929-2017), Memorial ID No. 182222751, created by Donald Bitner, added August 9, 2017. Below - Gladys Pearl James Benson (1907-2008). Below - Opal James Huffman (1909-2011). Below - Everett Leroy James (1919-2012). Below - Wilma Pauline James Snakenberg (1929-2017).